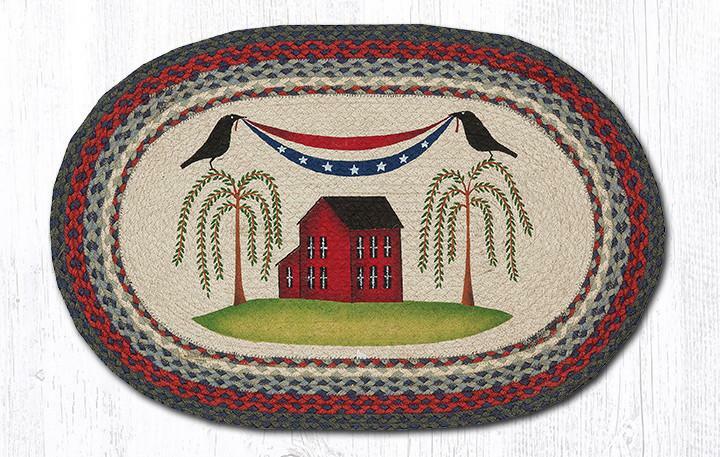 Two crows and barn stars oval rug Made of 100% jute 20" x 30"
Jute rug with two crows holding red white blue banner over house. 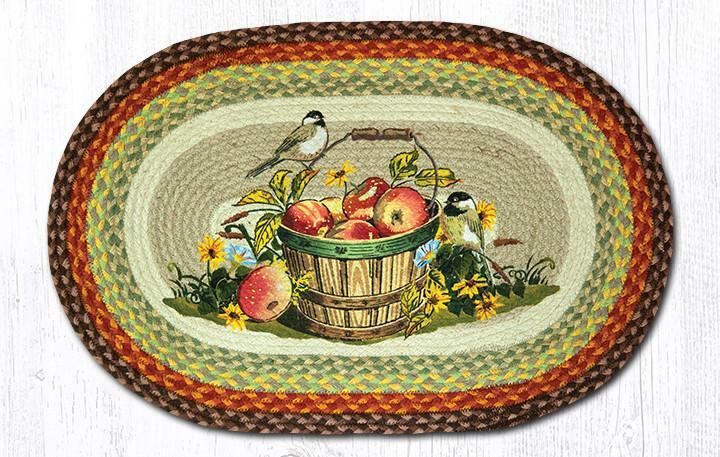 20" x 30"
Oval jute rug with birds and an apple basket design. 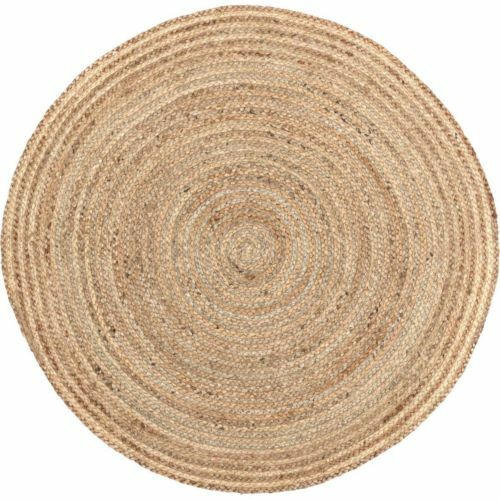 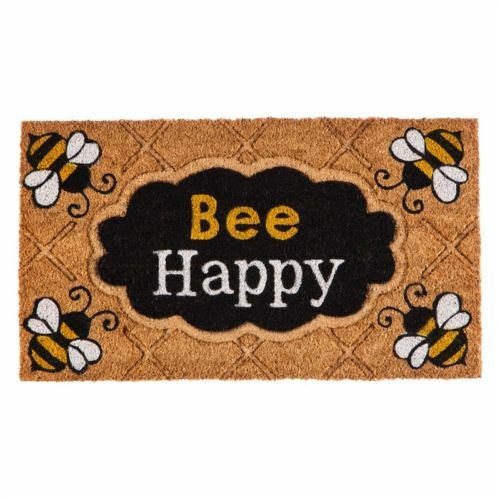 20" x 30"
Oval rug made of jute. 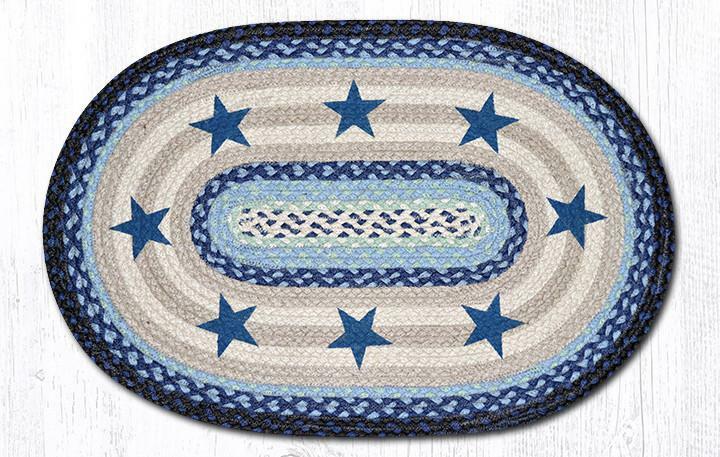 Blue stars design. 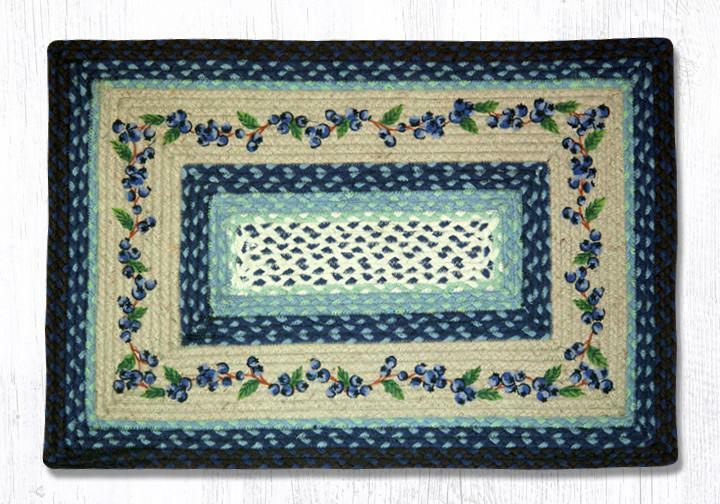 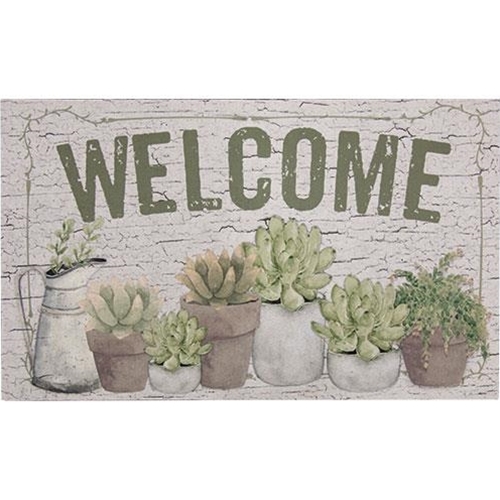 20" x 30"
Rectangle jute rug with blueberries design. 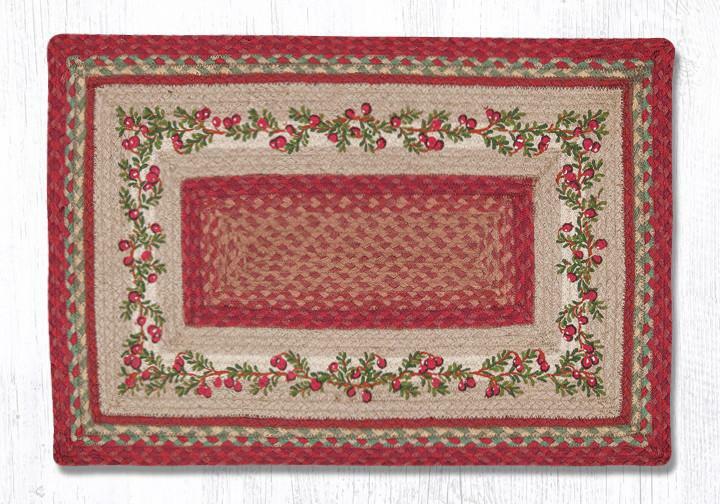 20" x 30"
Rectangle jute rug with cranberries design. 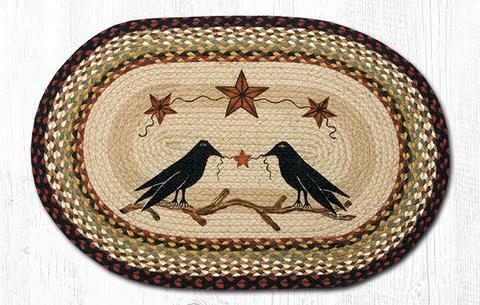 20" x 30"
Oval rug with crow and primitive star design. 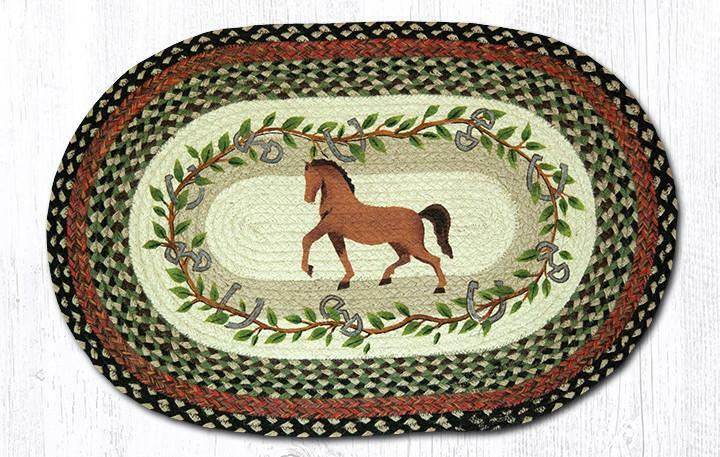 Made of 100% jute 20" x 30"
Oval jute rug with horse design. 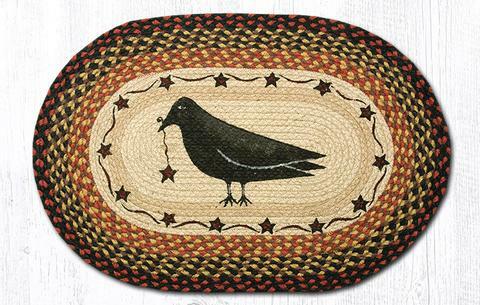 20" x 30"